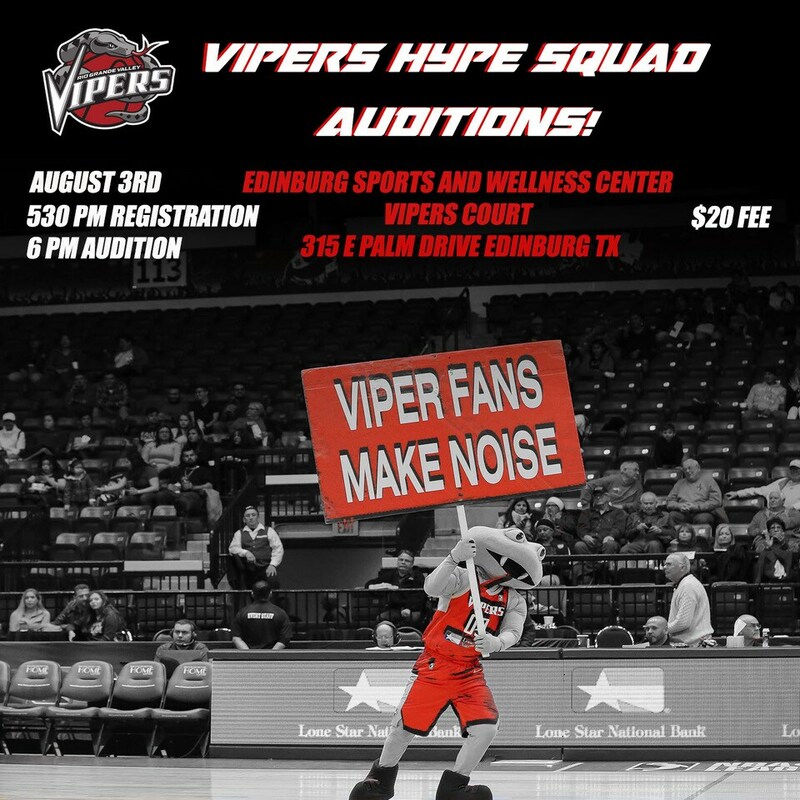 Come audition to be a part of our BRAND NEW Vipers Entertainment Squad! We are looking for the best breakers, dancers, freestylers, dunkers, and tumblers in the RGV! 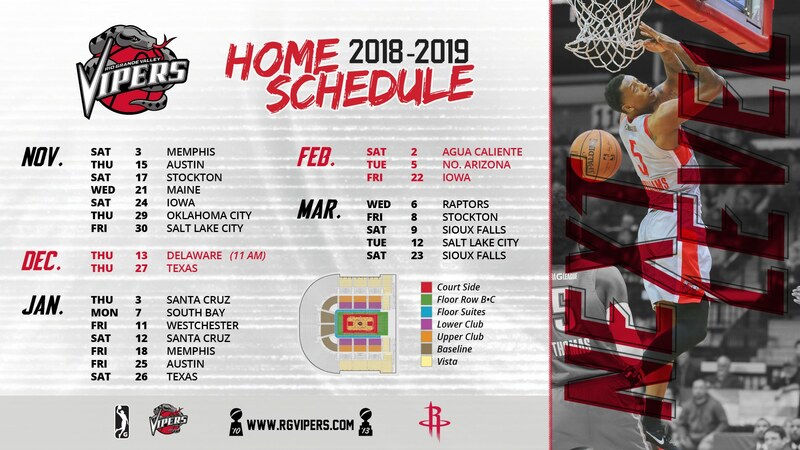 An opportunity to perform at Vipers home games at the brand new Bert Ogden Arena! The Hype Squad can be seen interacting with fans, showing off their enthusiasm to fans, launching T-shirts into the crowd, tumbling down center court, and performing dynamic routines with the Snake Charmers. Men and Women are encouraged to apply! Auditions will consist of a freestyle round, Hip Hop Choreography and an interview. There will also be an opportunity to show special skills (tumbling, tricks, dunks, etc).